ShopScanner | Bath & Body Works Anti-Bacterial Random 5-Pack PocketBac Sanitizers With Holder. 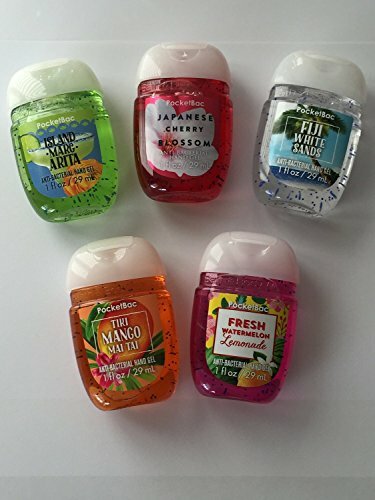 Bath & Body Works Anti-Bacterial Random 5-Pack PocketBac Sanitizers With Holder. You will receive 5x29ml Pocketbacs.There will be NO DUPLICATES... you will also receive one free Holder.